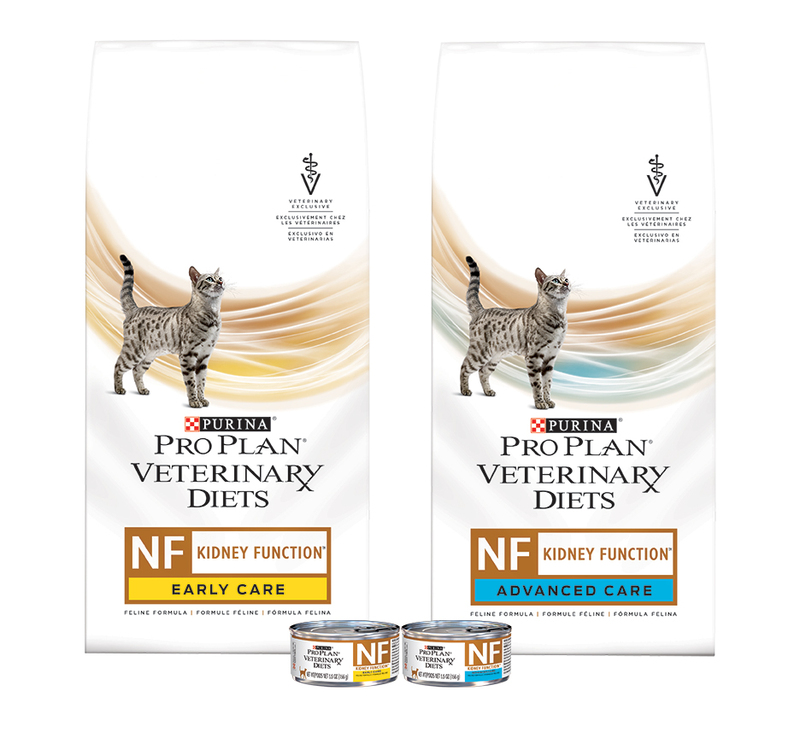 Purina Pro Plan Veterinary Diets NF Kidney Function diets offer a staged approach to the nutritional management of cats with chronic kidney disease. The diets are available in both Early Care and Advanced Care formulations, as well as wet and dry versions of each. Both formulas are designed to provide complete nutrition for cats with CKD, according to the company. The Early Care diet contains restricted phosphorus to help minimize the release of parathyroid hormone and prevent secondary hyperparathyroidism; omega-3 fatty acids to help reduce inflammatory mediators; moderate protein, which may help maintain lean body mass in early stages of CKD; and a nonacidifying formulation to help counteract metabolic acidosis, the company stated. The Advanced Care formula, for cats in later stages of CKD, is formulated with reduced amounts of high-quality protein to minimize the production of filtered nitrogenous waste products, which contribute to azotemia, the manufacturer stated.